Our Spedan assured service provides you with a higher level of ‘self-declaration’ of compliance to ISO management standards. Our Spedan Assured service is very useful for companies waiting for ISO certification by UKAS certified bodies. We will confirm your ‘self declaration’ of ISO Compliance with a fully audit process that emulates the service provided by ISO Certification bodies. Self-declaration is a legitimate method for organisations to demonstrate compliance to customers in advance of a UKAS certified external audit. Our service, which follows four simple steps, adds an independent element to the self-declaration process and helps you prepare in detail for external Certification Body visits. A successful Spedan Assured audit provides you with a Certificate of Compliance that you can share with your Customers and celebrate with your team. Learn about the steps that every organisation can gain certification and recognition for their management systems by downloading our ebook. From initial gap analysis and planning, to the activities that help you implement a management system that meets the requirements of ISO certification, this ebook gives you a greater understanding. 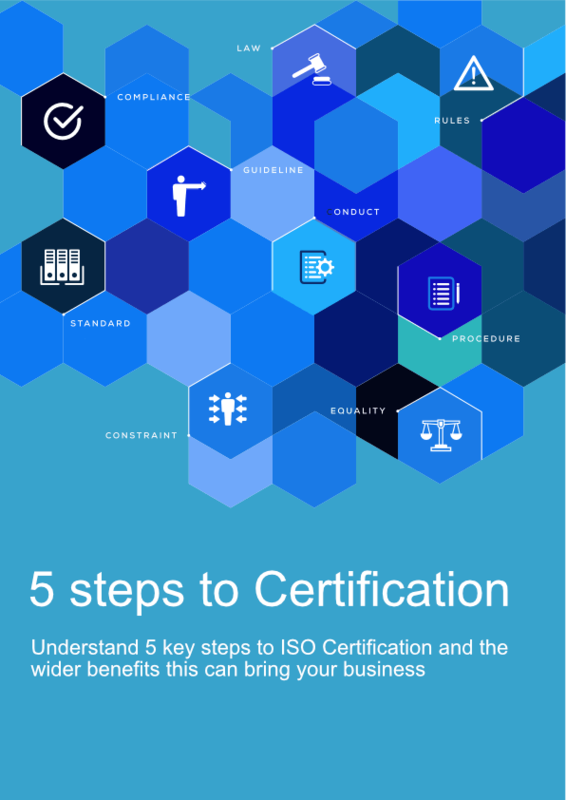 The 5 steps to certification ebook clarifies the evidence that you need to gain ISO certification, and lays out the process of gaining ISO Certification and the approach of Self Declaration.